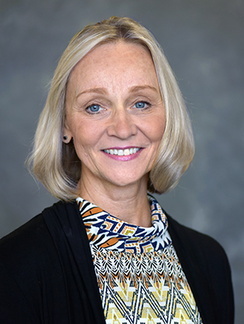 Carolyn Torkelson, MD, MS, medical director of the University of Minnesota Physicians Women’s Health Specialists Clinic, is faculty in both the U of M Family Medicine and Community Health and Center for Spirituality and Healing. Her clinical practice offers comprehensive, integrative care to women. She also teaches medical students a course on integrated healing and is active in clinical research, studying women’s health and herbal and nutritional interventions. Pechacek JM, Drake D, Terrell CA, Torkelson C. Interprofessional intervention to support mature women: a case study. Creat Nurs. 2015;21(3):134-43. Cameron ME, Torkelson CJ, Haddow S, Namdul T, Prasek A, Gross C. Tibetan medicine and integrative health: validity testing and refinement of the constitutional self-assessment tool and lifestyle guidelines tool. Explore: The Journal of Science and Healing. 2012;8(3):158-171. Motsinger S, Lazovich D, Maclehose RF, Torkelson CJ, Robien K. Vitamin D intake and mental health-related quality of life in older women: the Iowa Women's Health Study. Maturitas. 2012;71(3):267-73. Drake D, Torkelson CJ. Twenty-first century women’s health care: a new model is emerging—one that integrates both conventional and alternative medicine and emphasizes disease prevention. Minnesota Medicine. 2012;March. Emir UE, Raatz S, White T, McPherson S, Torkelson CJ, Terpstra M. Noninvasive quantification of ascorbate and glutathione concentration in the elderly human brain. NMR Biomed. 2011;24(7):888-94.